The school records of the suspect of a mass shooting in Florida killed 17 people reveal a child that had problems since middle school. According to records obtained Sunday from the state Department of Children and Families, when Nikolas Cruz was a student at Westglades Middle School, he was constantly in trouble for insulting teachers and staff, using profanity, disruptive behavior, unexcused absences and at least one fight. His mother was called in more than a dozen times for conferences and Cruz was frequently sent to counseling. 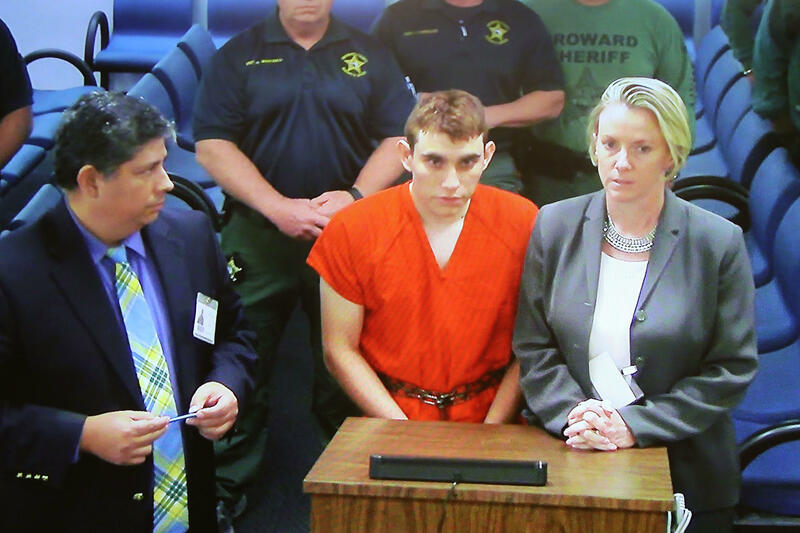 Nineteen-year-old Cruz is facing 17 counts of murder in the Wednesday afternoon shooting at Marjory Stoneman Douglas High School in Parkland. The warnings around Cruz seemed to flash like neon signs: expelled from school, fighting with classmates, a fascination with weapons and hurting animals, disturbing images and comments posted to social media, previous mental health treatment. In Florida, that wasn't enough for relatives, authorities or his school to request a judicial order barring him from possessing guns. Only five states have laws allowing family members, guardians or police to ask judges to temporarily strip gun rights from people who show warning signs of violence. Supporters of the measures, deemed "red flag laws" or gun violence restraining orders, say they can save lives by stopping some shootings and suicides. Red flag legislation was introduced last fall in Florida by Democratic lawmakers, but its fate is uncertain in a state Legislature controlled by Republicans who generally favor expanding gun rights. After Wednesday's shooting at a high school in Parkland, a suburb north of Miami, Republican Gov. Rick Scott said he will work to make sure people with mental illnesses don't have access to guns but offered no specifics. The Florida shooting also has revived debate about whether teachers and school administrators should have that authority as well, given that people at Cruz's high school witnessed much of his erratic behavior. "We need to make sure that when people see signs, they have every ability to do something about getting guns out of the hands of mentally ill and dangerous people," Ting told The Associated Press. "It's a way to allow for temporary removal of firearms in a situation just like this: where somebody has made threats, where they have been expelled from school because of those threats, they're in counseling, and parents or the school or whoever it is understands that this person poses a threat," she said. The National Rifle Association's lobbying arm has said such laws allow courts to remove Second Amendment rights "based on third-party allegations and evidentiary standards" that are lower than what's required in criminal proceedings. Connecticut led the way with a 1999 law, passed after an employee shot and killed four executives at the state Lottery headquarters. It allows police to remove guns based on probable cause that a person poses a "risk of imminent personal injury." In a study published last year, researchers at Duke, Yale, Connecticut and Virginia estimated that dozens of suicides have been prevented by the law, roughly one for every 10 gun seizures carried out. They said such laws "could significantly mitigate the risk" posed by the small number of legal gun owners who might suddenly pose a significant danger. David Hogg, a survivor of the attack, is telling politicians and Americans in a poignant essay written for CBS Sunday Morning that they must to do something to stop the next school shooting. "Politicians and more importantly the American public must take action if we're going to prevent the next shooting," Hogg says. "To elected officials I say this: Don't lie to us. Don't make any more false promises, because when you do, children die," he adds.